The North Strathfield Rail Underpass (NSRU) project constructed approximately 800 metres of dive and tunnel structure to provide a rail underpass under the Main North Line between Sydney and Newcastle in the vicinity of North Strathfield Station and 3.25 kilometres of new and upgraded track between North Strathfield Station and Concord West Station. 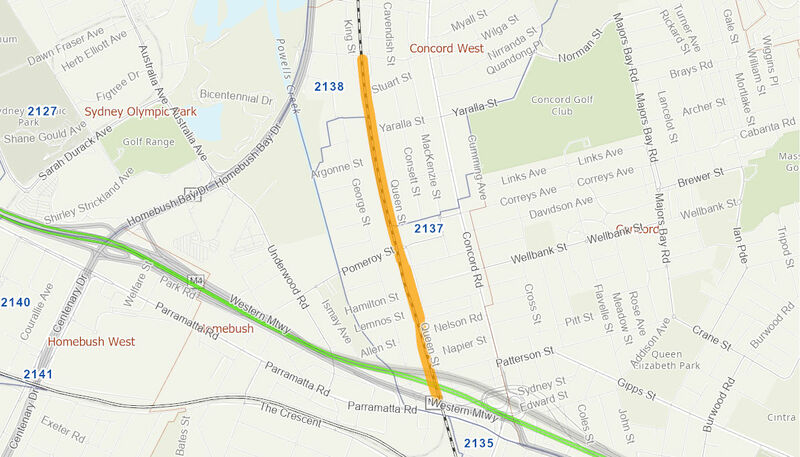 The project removed a crossing conflict in the vicinity of Concord West and improved capacity for freight services on the Main North Line. Other benefits included the diversion of freight from road to rail; improved efficiency flowing from improved reliability, reduced transit times and congestion; and improved productivity from rail operations. Completion of Stage 1 of the Northern Sydney Freight Corridor Program has helped to increase rail’s market share for the transport of freight, reduce the occurrence of road accidents, and reduce air pollution, greenhouse emissions and noise. The Australian Government contributed $283 million to the project with Transport for NSW funding the remainder of the costs. Delivery Phase funding was approved on 1 March 2012, enabling commencement of detail design work. Construction commenced in October 2012. The project was commissioned into service on 8 June 2015, four months earlier than originally planned.